Here is a modification of the first Classic Head design with Liberty slightly larger in physical size. Throughout the six years this design was issued, five distinctly different styles exist for Miss Liberty. The Small Head type has the vertical curls at upper right forming a straight line. This Large Head type has an indentation in this vertical row of curls. 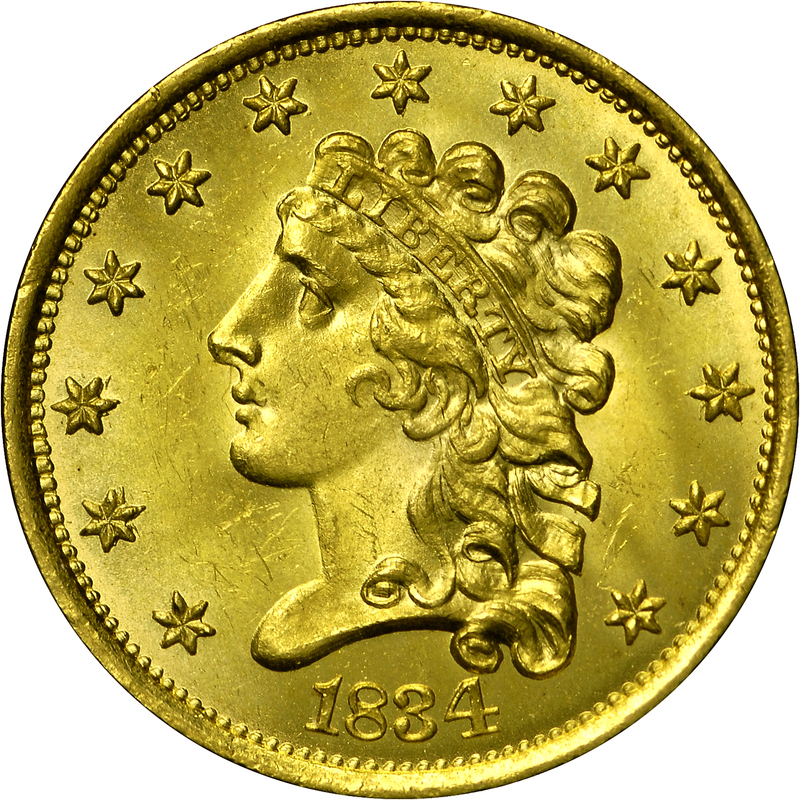 These coins were intended to circulate, serving their function as money. 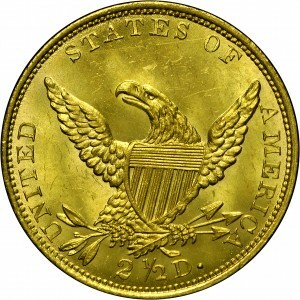 Choice and gem Mint State examples such as seen here are quite rare. Purchased from Stanley Kesselman, April 28, 1967. As preceding, but with a modification of the portrait. 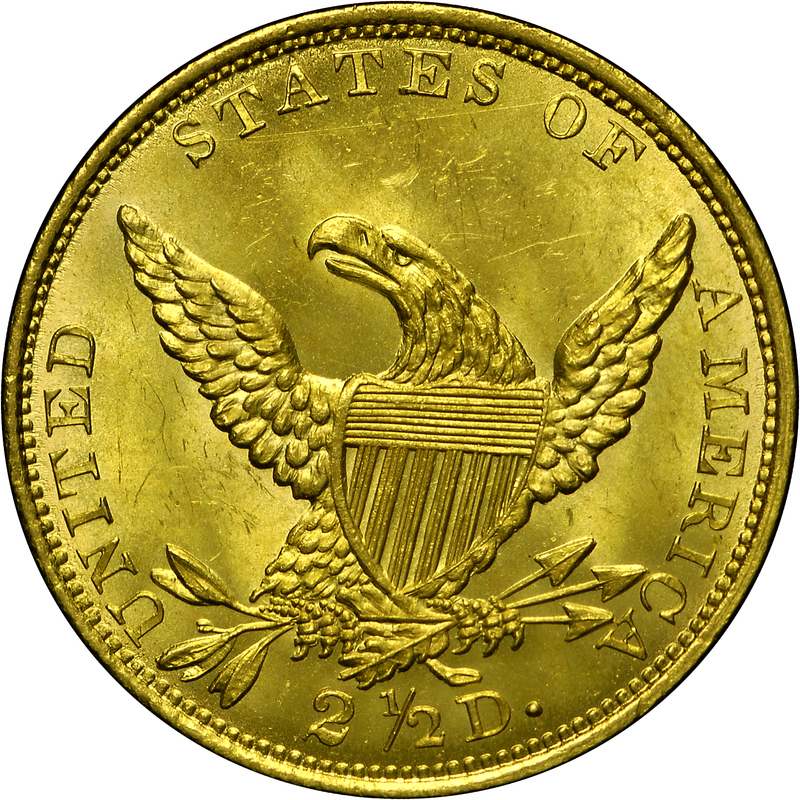 "Obverse: Large 'Booby' head. Reverse: A M apart, split berry."